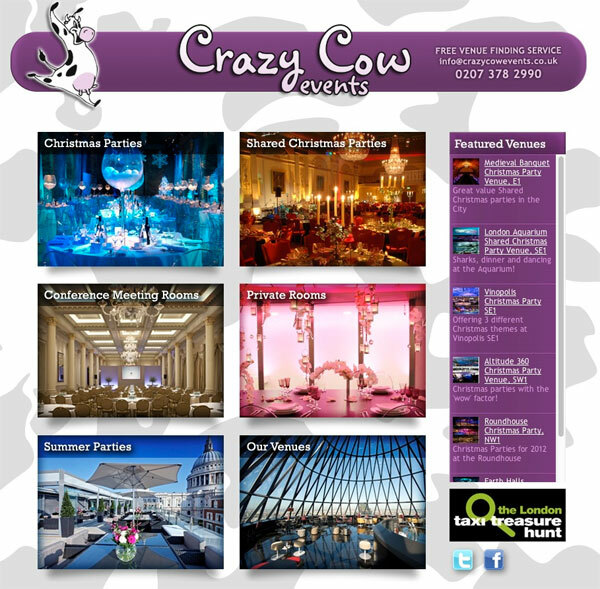 The client wanted a ‘fun yet professional’ design – they organise private parties and work do’s, mainly in London. They have working relationships with hundreds of bars, clubs and venues. I designed the website with a lot of guidance from the client – they had a pretty clear idea of what they wanted. I also built the Drupal templates and regularly do small maintenance jobs, although obviously the client is able to add, promote and update the venue listings. This website uses Drupal CMS.